Climate change mitigation is a term describing various strategies to lessen and control global warming and its consequences. These strategies mostly concern greenhouse gas emissions to the atmosphere and the ways to reduce them. The most abundant anthropogenic greenhouse gas emissions include carbon dioxide (CO2), methane (CH4) and nitrous oxide (N2O). Mitigation can be achieved through reducing the current rates of greenhouse gas emissions, as well as through carbon capture and storage, preventing deforestation and afforestation. Kyoto Protocol is the most important international treaty concerning climate change control. The participating countries signed the protocol in 1997. It regulates the rates of greenhouse gas emissions. The protocol has originally stated that in 2008 – 2012 emissions of greenhouse gases should be reduced by 5.2% on average, as compared to the values of 1990. Such reduction would allow greenhouse gases concentration to reach “a level that would prevent dangerous anthropogenic interference with the climate system”. The second commitment of the protocol expires in 2020. This second commitment has the name of the Doha protocol. The Kyoto protocol concerns the gases listed above (CO2, CH4 and N2O), as well as Hydrofluorocarbons (HFCs), Perfluorocarbons (PFCs), and Sulphur hexafluoride (SF6). According to this treaty the expected reductions vary per country. For example, the United States of America should reduce their emissions by 7%, Japan – by 7% and the European Union – by 7%. The European Union has further developed the country-specific requirements, which differ greatly. For example, according to these requirements, Luxembourg should have achieved a 28%-reduction of greenhouse gas emissions, Portugal – a 27% reduction, while the Netherlands must have reached a reduction of 6%. This international environmental treaty has been signed already in 1992, during the Earth Summit in Rio-de-Janeiro. The treaty is the responsibility of the United Nations. 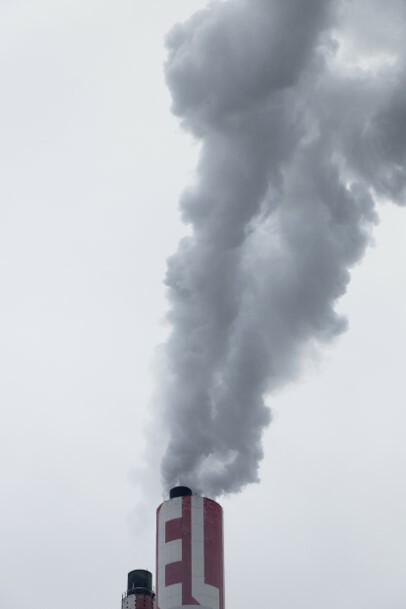 The treaty sets country-specific limits on greenhouse gas emissions. However, these limits are non-binding, as the treaty contains no enforcement mechanisms. The Kyoto protocol described above followed this treaty, bringing some enforcements onto the goals. The participating countries had to reduce their emissions, and the requirements were binding by the international law. Despite the fact that the Kyoto protocol has been extended by the Doha protocol, which is valid for the time period of 2013 – 2020, this extension has not come into force. The participating countries have agreed that the previously established goals seem inadequate. Therefore, they have set a new goal. These participating countries signed the new agreement in 2016. According to this new agreement, the participants aim at limiting the global temperature rise to 2 degrees Celsius. At the same time the participants will try to pursue the goal of a global temperature rise of 1.5 degrees. Climate change is a global problem and only working together allows us to mitigate its development and consequences. Ideally, the governments of all countries in the world should unite and solve this problem together. Luckily, the programs listed above are already pursuing this goal. However, there is something everyone can do to minimize the dramatic consequences of the change. Read our next blog to find out what YOU can do to prevent further anthropogenic climate change.